Thalia Field is the author of Point and Line, Incarnate: Story Material, and Bird Lovers, Backyard, all from New Directions. Her performance novel, Ululu (Clown Shrapnel), was published with Coffee House Press, and she has two collaborations with French author Abigail Lang: A Prank of Georges (Essay Press) and the forthcoming Leave to Remain. 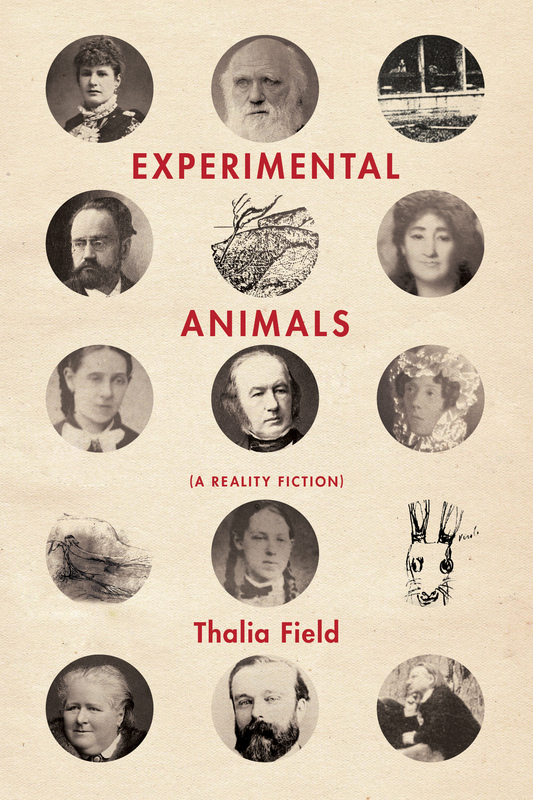 Stemming from a through-line of marital discord in the household of the great French vivisector, Claude Bernard, Thalia Field has discovered a number of voices, some famous, some forgotten, and allowed them all a moment in which to be heard again. This compelling tale is made up largely of excerpts and quotations, pieced together with great artistry. A beautiful and thought-provoking collage of a tale of rescued history and a sobering tribute to some of its victims. Advancing what she started twenty years ago with her earliest explorations of essayistic fiction, Thalia Field has now composed what very well might be her life’s work—a tragic, comical, and utterly fascinating tale of a marriage that vividly encapsulates not only the origins of experimental medicine, but an entire age that spirited experiments in literature, science, engineering, film, etc. It’s nothing less than a history—gorgeously fictional, purposefully essayistic—of how we got where we are.